2007 was the “Year of a Million Dreams” or should I say one of the years since that promotion ran for 27 months. I made two trips to Walt Disney World that year. My in-laws joined us for our usual fall trip for the Food and Wine Festival. However, the really special visit was one with my brother in February of 2007. My husband and I moved to Oklahoma in late 2005. 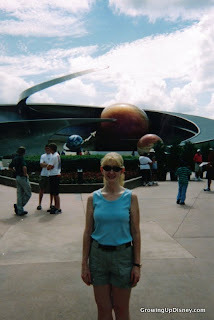 By early 2007, my brother Chris and I decided a second brother/sister WDW trip was in order. 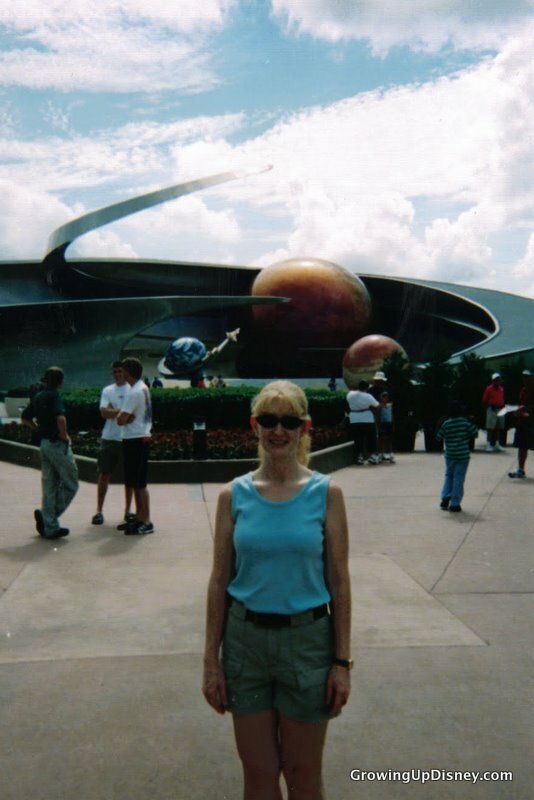 Our first had been in 2004 for the Mission Space Annual Passholder (AP) preview. Chris and I travel really well together. I like to plan and he’s happy with most plans, as long as there is one. We are Disney Vacation Club members but chose not to use points for this trip. Instead, we got an AP discount at our favorite moderate resort, Port Orleans Riverside. I love this resort. The grounds are lush and beautiful and it’s a great place to go for a morning jog. Chris’ flight didn’t arrive until really late so I had the first evening to myself. I took the opportunity to meander to Port Orleans French Quarter, taking photos along the way. After a stop in the POFQ food court for dinner, I did some shopping at Downtown Disney. I discovered that I really shouldn’t shop there alone. Let’s just say that I spent more than normal, however I still love the items I bought that day. We were able to check out a few things that were fairly new on this visit. The pirate tutorial sessions near Pirates of the Caribbean were just getting started. There is a stage now but in the beginning, they just used an open space to the left of the queue entrance. It features every big girl’s favorite face character...Captain Jack. Finding Nemo The Musical was also new to us on this trip, having just opened in November 2006. Chris humored me and stood in the rain to wait for the show. I love this show. It’s amazing how you are so aware of the actors but at the same time, convinced that Nemo is real. I don’t know if this was really new or not, but it was certainly the first time it had caught our attention. Club Cool offers free sodas from around the world, including everyone’s favorite, Beverly. There are some Coke products for sale in Club Cool. Chris had recently worked for the local Coca-Cola distributor at home so we lingered a bit longer than usual. He decided to pay an extra fifty cents over the regular price of water to create the “souvenir bottle.” You choose a wrap, slide it on the bottle, and this gizmo shrink wraps your disposable bottle. If that’s not genius marketing, I don’t know what is. Get people to pay more for something they aren’t going to keep anyway. We did not attend but the short-lived Pirate and Princess Party was being held at Magic Kingdom that spring. This party was along the lines of the holiday parties but didn’t earn nearly the rave reviews of Mickey’s Not So Scary Halloween Party. It wasn’t tied to any holiday, it just used pirates and princesses for the themes of the parade, fireworks, dance parties, etc. By 2009, no more dates were scheduled. Pal Mickey made the trip with us again in 2007. He had been an excellent travel buddy during our 2004 adventure so we let him tag along again. We really didn’t need more pictures of ourselves in the parks but it was funny to take photos of Mickey. Since this was before we all carried smart phones, it was neat to hear him tell jokes and share park information and know where he was on Disney property. In general, we just enjoyed spending some time together, taking in attractions and dining at a few favorite restaurants. Garden Grill was a good meal and a wonderful character greeting opportunity. Our lunch at Brown Derby was one of the best meals I’ve ever had at Walt Disney World. I had a cobb salad topped with seared tuna and Chris loved his steak. And for some reason, I remember the butter was the perfect temperature for their crispy rolls. Time moves on and life happens. Since this 2007 vacation, I’ve had two children and moved to yet another state. 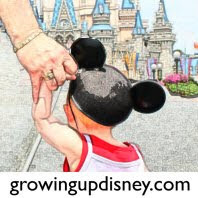 Chris and I may not be able to take another brother/sister trip for a good while but we get to share Disney fun several times a week here on the blog. What a nice brother/sister trip! I'd love to do one with my brother but as you said, life happens and who knows if I'll ever be able to.